The high street giant slipped up, but there are far worse offenders out there. ‘Government names and shames 37 National Minimum Wage offenders,’ a Department for Business, Innovation and Skills press release proclaimed proudly this morning, unveiling a list ranging from high street giant H&M and service station operator Welcome Break to hairdressers, estate agents and Chinese restaurants. Between them, the offending companies underpaid minimum wage workers by £177,000 and were fined £51,000 by HMRC. The Government had already named 55 businesses since ‘the new naming regime came into force in October 2013’. ‘Paying less than the minimum wage is illegal, immoral and completely unacceptable,’ said business minister Jo Swinson. ‘If employers break this law they need to know that we will take tough action by naming, shaming and fining them as well as helping workers recover the hundreds of thousands of pounds in pay owed to them.’ Oo er. H&M, which coincidentally said today its December sales were 15% higher than 2013, failed to pay £2,604.87 to 540 workers – a mere £4.82 on average. The Swedish retailer, which employs more than 9,500 people in the UK, blamed problems with time logging for the staff being ‘accidentally underpaid’. Clearly ‘immoral’ behaviour. Welcome Break, meanwhile, underpaid 20 workers by £1,319 – an average of £66. ‘The initial breach was brought to light as an employee complained to the HMRC that her pay rate had not been increased correctly upon reaching her 21st birthday,’ chief exec Rod McKie said. It then found other people in a ‘similar situation’, McKie said, blaming changing management, holidays and, that old bugbear, a new IT system for the unintentional underpayment. The biggest total offender was Hertfordshire estate agent Kings Group, whose main company deprived 53 workers of £53,809, while Kings Group Lettings LLP shortchanged 49 staff by a total of £26,893. It too had an excuse for what looks like a pretty glaring oversight: estate agents being paid commission and HMRC looking at four week periods on their own, ‘with no account being taken of the fact that the employee may have been paid substantial sums in other four week periods,’ according to a spokesman, who said its pay structure had now been smoothed out. Sweet & Sour, a Chinese takeaway in the Lancashire seaside town of Fleetwood, was the worst offender per head, failing to pay £11,039 to two workers. It didn’t pick up when MT called. 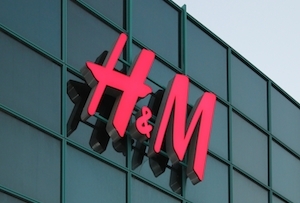 Clearly, then, there are far worse offenders than H&M and its dodgy time logging. • Kingsclere Nurseries Ltd trading as Abacus Day Nursery, Newbury, neglected to pay £12,904.19 to 8 workers.